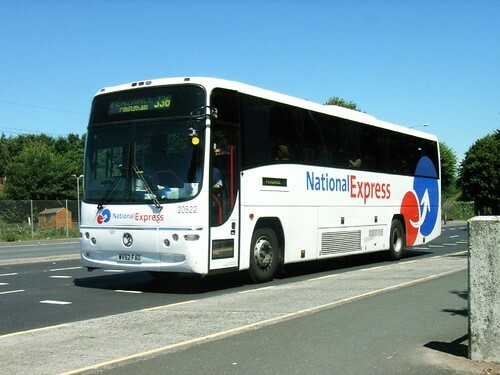 NATIONAL Express is investing £1million in child seats, which can be fitted when needed to its coaches. For children aged between 4 and 14 a booster seat with seat belt will be available. For younger children there will be fittings to provide secure travel using their own car seats. All new coaches are being equipped to accommodate children’s travel needs, and National Express also plans to introduce child-friendly zones of eight seats with the new seatbelts on its existing fleet. This is a great idea and its good to see National Express coming up with this iniative. It does seem to suggest that it will only be available on the new coaches which I guess is understandable, but it would be nice if such seats could be guaranteed when booking (subject to the usual last minute demands etc) as this would reassure parents. Certainly we are looking at using National Express next time we go to London - last time the car journey was hell!